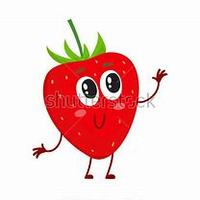 Yeah I know another freakin strawberry. Its been a awhile since I whipped up a strawberry so what the hell. Playing with the FA breakfast cereal in this one. A nice strawberry milk that will keep you guessing. Its yummy IMO!!! . You can sub out your favorite strawberry stone if you want but Rf and inw are my favs in this one.. Its easy, fun and vapes great. Enjoy!!!!! This recipe is the property of shakenvape007 and released under the CC Attribution-NonCommercial-NoDerivatives 4.0 license. You may not copy, derive or commercialize this recipe without following the terms of this license or the explicit permission of the creator.